Angel doesn't remember her magical heritage...but it remembers her. Magic and science collide when she embarks on a journey to her true home, and to herself. If you could sum up Finding Angel in three words, what would they be? The part of me that wanted to be Angel growing up. Hoping that there was a magical world out there somewhere that was my destiny. Gregor. Actually, any character she gave a Scottish lilt. Her delivery of voices and accents was magnificent. Yes. At the end, but I can't say why because I don't want to spoil the book for others. I read this book a couple of years ago and purchased the audiobook this year to listen to it again. I was moved by the description and enjoyed the story even more the second time. A well read audio book makes a story come alive. That is what this audio book has done. Well worth the money to listen to it. What did you love best about Finding Angel? The vivid descriptions of Toch Island and the subtle spiritual messages hidden like delightful Easter eggs. What was one of the most memorable moments of Finding Angel? There are so many. Some of my most-favorite moments would be spoilers, so I'll go with an early one, when Gregor gates Angel and himself to Toch Island. No but I will look for books she's narrated. Gregor's story. Wow just wow! Finding Angel was already one of my absolute favorite books. There's so much I loved about it. The overall message, the pacing - the story unwinds beautifully, the descriptions. And Jeanne's narration adds so much to this fantastic story. Would you listen to Finding Angel again? Why? Maybe. Good writing, good narrator, good story. Angel. I felt empathy for her. wanted her to succeed in her quest. The scene with the elves, the rapidly changing elements. No. Too hard to grasp all that was happening in one listen. 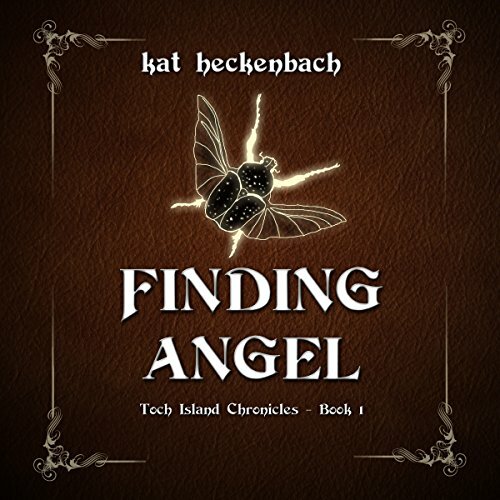 “Finding Angel” by Kat Heckenbach is my first audio listen in the YA fantasy genre. I have listened to many YA books but fantasy is not my usual forte. However, this book is delightful, well crafted, with vivid imagery and a subtle theme that lends itself to a wholesome and harmless read for any teen or young adult. (even mature adults like me). “Angel” is the protagonist in search of a lost past, a past she can’t quite remember. We follow Angel into a mysterious land of magic and myth, not unlike that of the ancient Celts. The narrator brings this story to life with her ability to produce the right “voice” for each character. I found myself wishing I could “gate” myself to other places I have only imagined. For YA fantasy lovers, this is a 5 star listen. Enter a fantasy world and a story you'll enjoy. Jeanne Whitehouse is the ideal narrator for this story. She handles the voices of the women and children, well. Her masculine voices, for the most part, are convincing and in some cases, fun to listen to. Her youthful reading voice easily connects readers to Angel’s point of view. Finding Angel is a Y/A fantasy, every lover of the genre should read. The author is gifted with the ability to offer readers an imaginary island filled with magical animals and plants unlike those they've encountered in other stories.Angel, the protagonist, is compassionate, intelligent, and someone whose perspective you won’t mind spending time in. The battle between good and evil has twists and intricacies that easily let you know you’re being presented magic in a whole new way. This is the kind of book, you’re bound to enjoy listening to, several times over. Finding Angel is a great fantasy adventure, enjoyable for all ages. I highly recommend it. It would be a great story to listen to as a family.